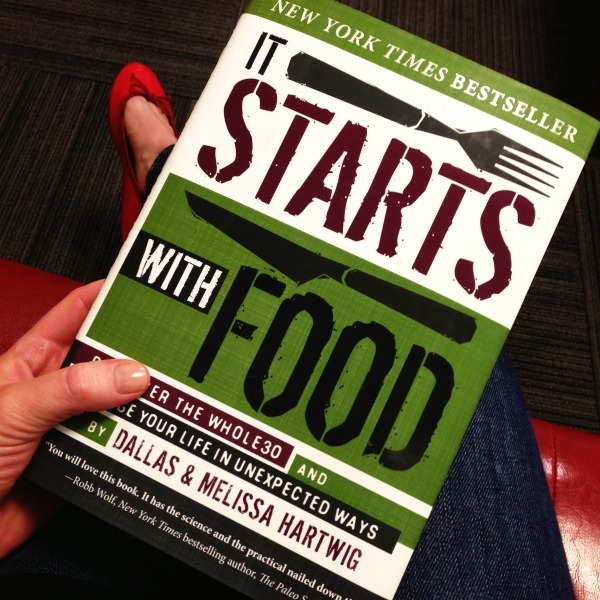 I’ve recently finished reading It Starts With Food, the best-selling book by Dallas and Melissa Hartwig, and this morning I woke up and decided today is the day I start The Whole30 Program. I don’t have a plan and there isn’t a vegetable in the house, but one thing is certain – I need to hit the “reset” button for my body and pay better attention to what I’ve been putting in my wine hole. 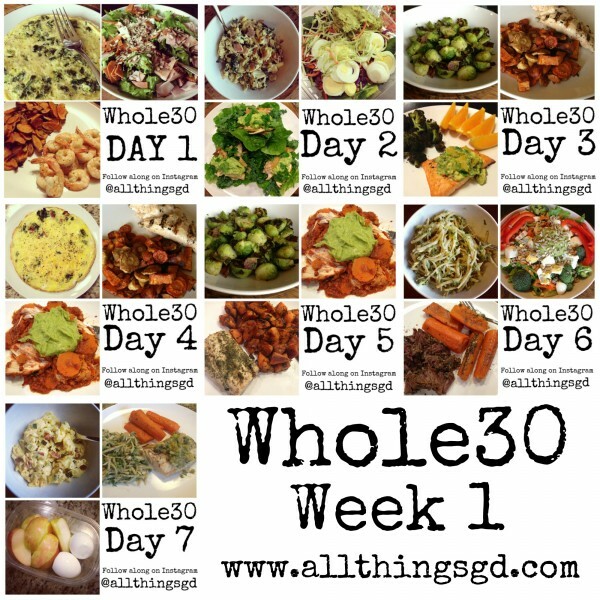 I’ve done the Whole Living Challenge in the past, so I’m no stranger to these kinds of food detox programs, but this one is a little different. For starters, it includes meat! 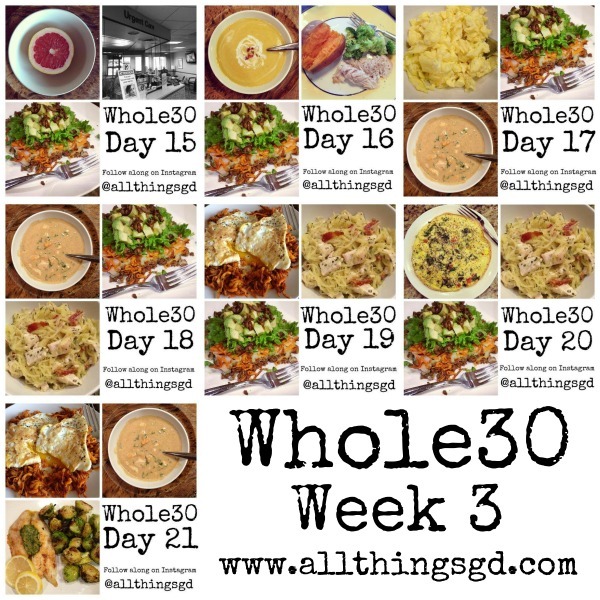 For the next 30 days my meals will center around meat, seafood, eggs, tons of vegetables, some fruit, and plenty of good fats from fruits, oils, nuts and seeds. What won’t go in my body? Added sugar of any kind (this includes maple syrup and honey), alcohol (bye, bye wine), grains (including wheat, rice, oats, corn, quinoa), legumes (beans, soy, lentils, peanuts), dairy or white potatoes. My goals are to get my energy levels back on track, kick my CRAZY carb cravings, and lose the muffin top I’ve acquired since starting a third job and forgetting where my gym shoes are. This post contains and affiliate link. Wow, EXACTLY what I wrote to you a year ago when you posted your last challenge. You should look it up – when you and your blog friends argued with me that grains were good for your body and whole wheat was so right for you! Amazing. This isn’t a fad for some people, we’ve lived this lifestyle for a long time and know of what we speak. I suspect it’s a fad for you though, until the next popular thing comes along. Good luck – just a word of advice…..you’ll always have that muffin top until you really practice what you preach. And I meant to add that you didn’t get your muffin top by working a third job and not running. If you really want a lifestyle change, you should check out Mark’s Daily Apple and his first book The Primal Blueprint. Because this is a lifestyle, not a diet. @Sarah: Thanks for the support. Hopefully I’m as cheerful as you when this is all over, too. Aw come on, don’t be a victim. One thing paleo followers are known for is cutting through the bullsh!t. I think you don’t want to hear anything that goes against what you’re currently “doing” right now, whether that’s eating whole grains or not. It’s all a learning curve and major health lesson, and when I wrote that to you way back when, you were not receptive. So let’s call a spade a spade – you want people to agree with you no matter what you’re doing. Regardless if someone else has good advice to offer. I do believe I was very tactful that there might be a better way of looking at eating than to deprive yourself on the challenge you were on. You disagreed, and your so-called blog friends were downright nasty. Which made me glad that I’m a bit more open minded and receptive to new ideas, as well as having friends who are too, and don’t insult others whose opinions are different from their own. Good luck to you as well – hopefully THIS challenge will make you cheerful too – in a real way, not the fake way you’ve been. I have a feeling you might succeed at this one! Sarah, I’m sorry for my lack of interest in your comment a year ago. I believed what I said then, and I believe what I say now. I’m comfortable with my current self contradicting something I said in the past, and I’m not afraid of my future self contradicting something I say now because I hope to be constantly learning and growing. And I’m doing that at my own pace. I truly hope you can accept my apology and move on. Thank you, CC! I’m definitely hoping to discover some shortcuts and kitchen time-savers along the way. 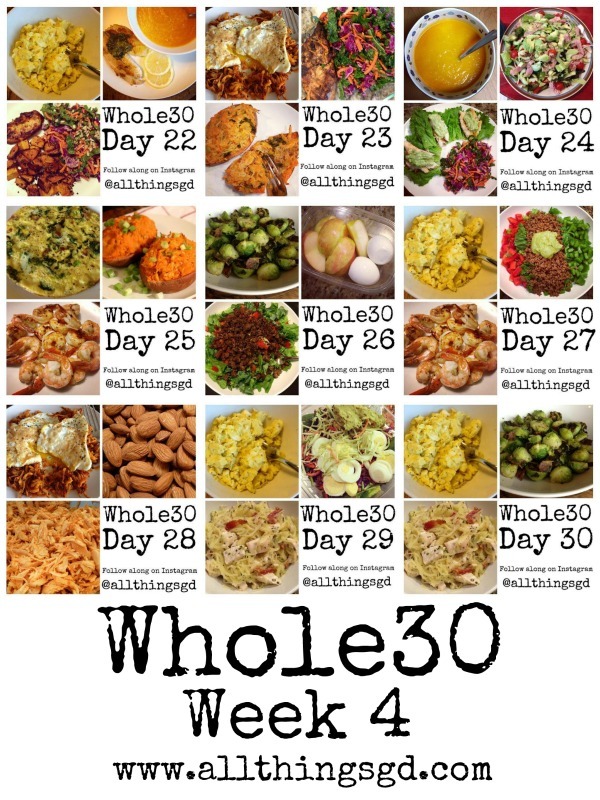 I’m also working on putting together a Whole30-compliant Wildtree freezer meals workshop (Wildtree workshops are when a group of people get together and prep 10 freezer meals in about an hour), which is the ultimate time-saver! I’ll be sure to keep you posted! Good for you Dusty! I’m excited to follow along and see how it works out for you, I feel like I’m in need a reset as well, but it’s hard to be an awesome mom & wife, work multiple jobs, and get the food and exercise stuff right all at once – I know you feel me on that one! To everything there is a season, and I think just before the holidays is a great time to try a reset! Thank you, Shanns! I’ve always looked to exercise to offset my diet and keep me in shape, but when I’m at my busiest that’s the first thing to go. I hope to be able to carve out time for the gym again soon, but in the meantime I’ve got to fix the food otherwise I’LL be the one looking like Santa Claus this holiday season, haha. Let me know if you decide to give this a try – I’d love to compare notes! Hi Dusty. I do Keto – which is similar to Paleo and Atkins, but much lower carb (<=20g/day). I've found that it has given me huge amounts of energy (due to level sugar levels from low carb). I do not sleep as much anymore. I've lost a few inches around my waist (I don't weigh myself). This has occurred in a 3-month period time. Main foods eaten: meat (bacon! ), eggs, some dairy, green veggies, no fruit except berries. All carbs and sugar are out, so no bread, potatoes, legumes, etc. I'm a huge fan of it. My stepfather has reversed his type II diabetes by losing 40lbs (in 4 months), my mother is down 20 in the same time frame. Normal macros of SAD is high carb, medium protein and low fat. On Keto, the macros are 65% fat (or greater), 30% protein, 5% carbs. Good Luck! I’ve never heard of keto before, Karen, but it sounds really interesting! I’m not much of a fruit eater (I kind of have to force myself to eat it) so that wouldn’t bother me. And I like the idea of adding a little dairy back in, too. My body doesn’t like milk, yogurt, or ice cream but doesn’t seem to mind butter and cheese. The keto macros breakdown is very interesting! Congrats to you, your stepfather, and your mother on your improved health – that’s wonderful news! If I might add – I enjoy cooking. And I’ve found that this “diet” requires a lot of cooking, however there are so many super yummy recipes available. And I absolutely love the fact that I do not crave sugar anymore, and most bread/chips taste like cardboard. I don’t have much of a sweet tooth, but oh my goodness I can’t imagine bread and chips tasting like cardboard – those are my loves! Thanks Jo! I’m not familiar with the 21 Day Sugar Detox, but it sounds like a great idea. I’m currently on Day 7 and haven’t found that I’m missing sugar too much (yet) so that’s good! I’ve been sharing my Wildtree recipes and concoctions on Instagram, and I’m sure they’d sound familiar to your sister. 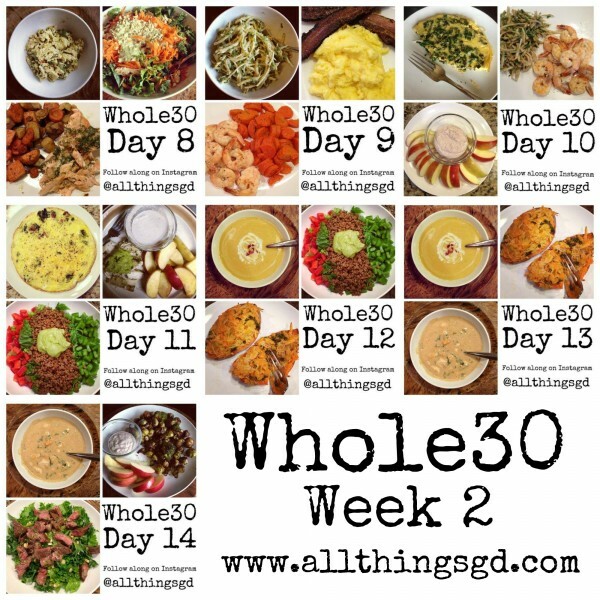 Check it out if you haven’t already, and good luck to you if you decide to do the Whole30, too! I’m interested to hear how this goes! I’ll be delivering baby #2 in about 3 weeks, and have eaten pretty much nothing but carbs this pregnancy. I’ll be looking to “start over” diet-wise after the holidays (I’m too aware of myself to know I won’t be able to do it before then, LOL!). Good luck! Thank you, Carla! And good luck to you as you bring your little one into the world – how exciting!! I’m pretty sure the most healthful thing is everything in moderation. Taking a whole category of food (grain, beans etc) out of your diet can kind of have a bounce back effect and when you’re done a new cleanse or whatever you will load up on it. I hope you do well on this challenge, but I always worry a little when someone tries to cut something out entirely when it’s not due to an allergy.